Tramper walking through beech forest (Nothofagus sp.) on the Routeburn Track Great Walk, above Routeburn Flats. 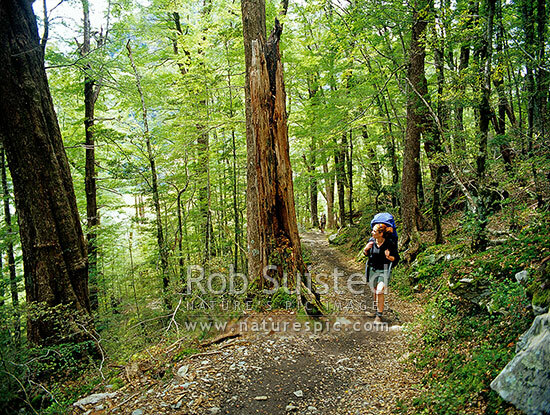 Hiking hiker, Mount Aspiring National Park, Queenstown Lakes District, Otago Region, New Zealand (NZ), stock photo.